A special thanks to Steve Kalmar for helping me get started with 3D printing. 3D printing can be very confusing with all the different printers, software and materials. Steve helped me navigate through the process. This rotor project is designed for beginners so they can become familiar with the process and easily build a complete working rotor at low cost. All the files are provided for your use. If you do not have a 3D printer you could probably get a friend who has one to print them for you from the files I have provided. 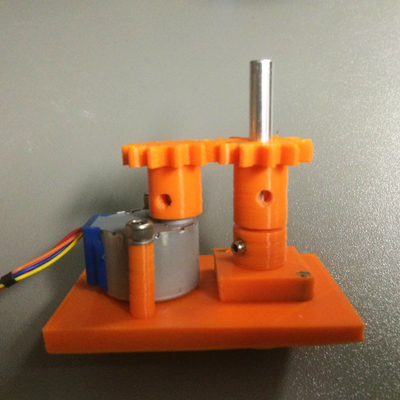 The rotor uses two low cost stepper motors (28BYJ-48) available from Amazon for about $3 each. All the design and printing was done at medium quality level. If you are used to conventional metal machining as I am you will miss the beauty of a mirror finish and tight tolerances. You will not miss the mountain of chips produced by conventional machining. The entire Design - Fabricate - Test cycle is dramatically shorter with a 3D printer so the lack of a high quality finish on the parts is a small price to pay. The secret is - don't look too close. Some hand tools will be required for assembly. 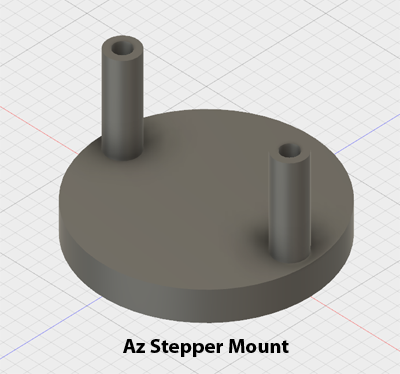 The azimuth portion of the rotor includes the 'Az Stepper Mount' and 'Az Stepper Adapter' parts shown in the image below. All the parts made on the 3D printer are orange in color. The screws and set screws are 8-32 size. The holes were tapped before inserting the screws. Self tapping screws could be used rather than tapping the holes. 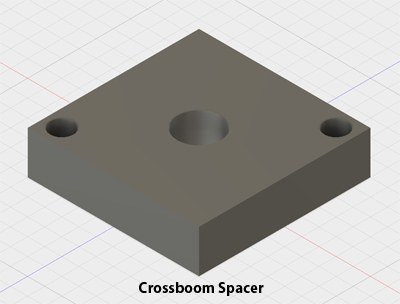 The material used in most 3D printers (PLA) is not very strong so be sure not to over tighten the screws. The use of screws and embedded nuts would be a good alternative for a production unit. 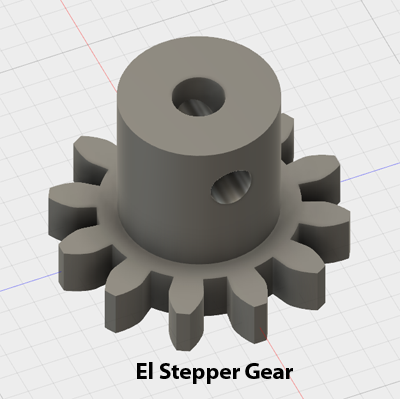 The elevation portion of the rotor shown in the image below is built on the 'EL Base' part and includes the 'Crossboom Spacer', 'El Shaft Gear', 'El Stepper Gear' and two 'Shaft Lock' parts. The second shaft lock connects to the lower side of the cross boom on the bottom side of the 'EL Base'. The cross boom shaft is 1/4 inch aluminum. 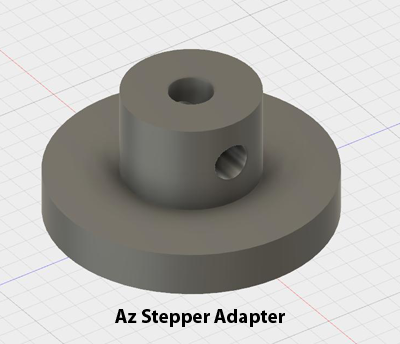 The rotor is completed by adding the 'El Floor' part to connect the Elevation portion of the rotor to the 'Az Stepper Adapter'. The white base was not printed it was cut from a kitchen cutting board. They are an excellent source of very tough low cost plastic sheet stock. Remember to practice your innocent looking honest face so you can answer the question from the XYL - "Have you seen the cutting board ?". Below is a link to a short YouTube video showing the rotor running. The controller consists of an Arduino UNO with an Adafruit Motor Shield V2.3. A 3D printer is well suited to rapid prototyping. A 3D printer is an excellent gift "for the kids". The 3D printer Steve recommended is the MakerGear M2. I purchased one and have been very happy with it. Since it is the only 3D printer I have ever used I can not say anything more than - It Works and MakerGear answers questions quickly. 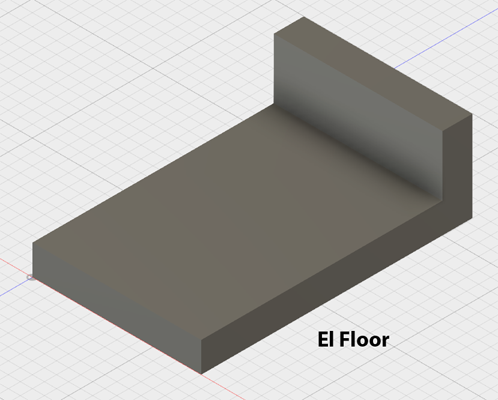 The 3D design software I used for the design is AutoCad Fusion 360. It is a professional level program that is available for hobbyist use at no charge. As with all 3D design software it is complex and takes some getting used to but it is worth the time. Even if you do not have a printer you can download the software and take a look at the files for this project. You do not need this program if all you want to do is print the parts needed for the rotor. 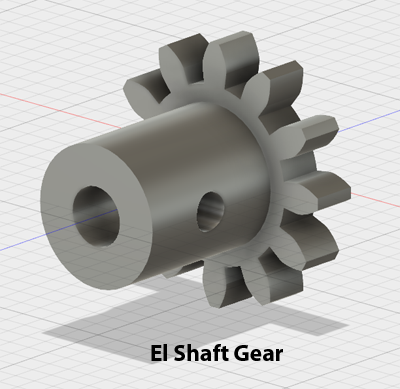 The companion Autodesk Print Studio was used to create the .STL printer file from the design. 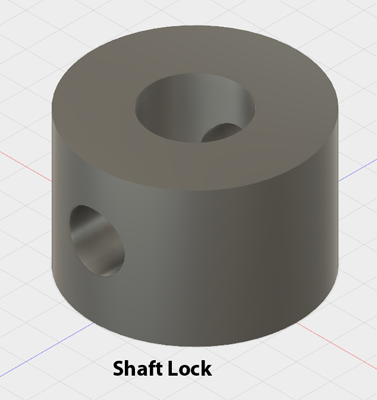 It is well integrated with Fusion 360. You can also try it even if you do not have a 3D printer. If all you want to do is print the parts needed for the rotor you do not need this program. 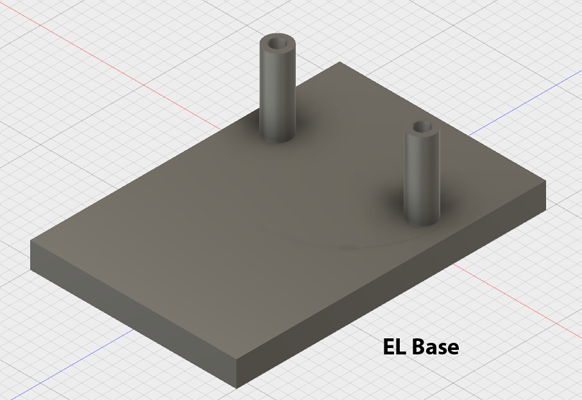 Simplify3D was used to print the .STL file from Print Studio. It is not free but I bought it after trying the free ware program and do not regret the purchase. 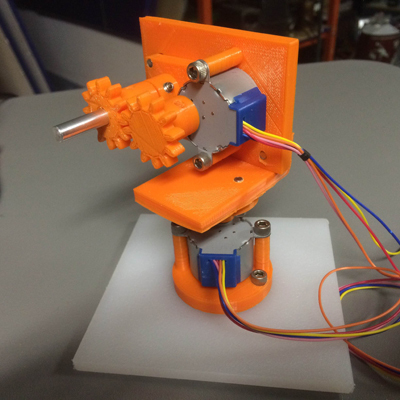 You will need a program like Simplify3D if you wish to print the parts for this project.